Eric Porter, a trumpet player with the Mandarins, submitted this photo and caption. 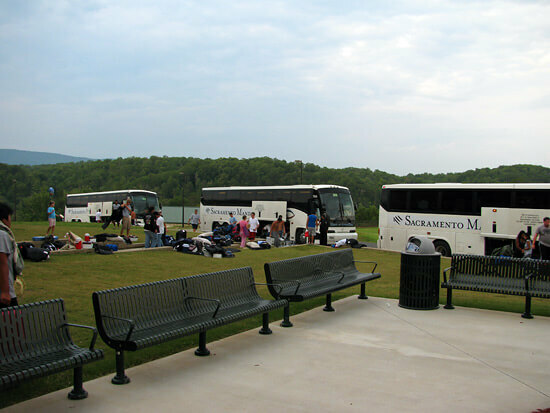 Here's the 2009 Mandarins packing up and leaving Pickens High School, in Jasper, Ga. It was a beautiful setting. During our rehearsal, the ring of chords from the brass section lasted for a good 10 seconds.